Happy International Sherry Week everyone! It’s that time of year again, when wine lovers around the world celebrate one of the most unique and undervalued wine regions. It’s also time for the annual “Pour and Pair” competition, in which 20 bloggers are given different sherries by chance. Using the sherry they’ve been given, they have to construct the perfect pairing. 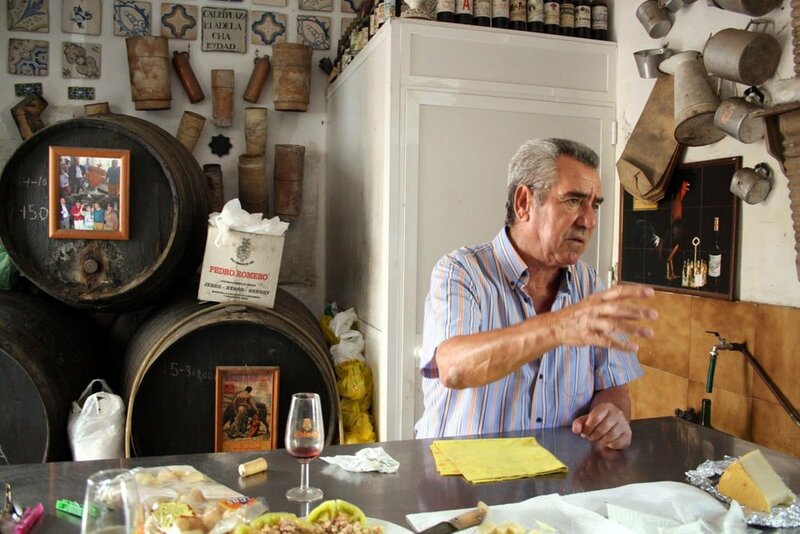 The winner gets a great prize — this year it’s a gourmet trip through DO Jerez! My entry for this year’s Pour & Pair competition. Read more: See all details of this year’s International Sherry Week (October 8-14, 2018) here. Last year I received a fantastic bottle of manzanilla en rama from Bodegas Baron. 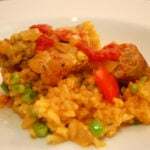 I made a dish that combined flavors of childhood in Massachusetts with flavors of Spain. I called it Iberian Seafood Stew. While it didn’t win, it was delicious and I still make it! While you don’t have to cook with sherry in the dish (it’s a pairing) I always do — I like the additional challenge it presents. But before I go into this year’s entry, let’s talk about sherry for a couple of minutes! Sherry is a wine region (DO Jerez) and is the first and oldest DO in Spain (founded in 1933). That said, sherry wine has about 3,000 years of history in total! Sherry wines can only come from DO Sherry (and more specifically the three sherry making towns of Jerez de la Frontera, Sanlúcar de Barrameda, and El Puerto de Santa María). This is similar to how champagne can only come from the Champagne region of France. All DO Sherry wines share three characteristics — they are fortified (with a higher alcohol grape spirit), aged (even the youngest sherries have at least two years of aging), and blended (unlike most wines who proudly wear their harvest year on the bottle, most sherries are non-vintage). Sherry wines range from the driest wines in the world to the sweetest. They can pair with just about anything. Even tricky pairings (like artichokes) can work with the right style of sherry. Until you’ve tried the full range of sherry wines, please don’t tell me you don’t like sherry. I’ve been known to convert many doubters with a glass of amontillado. What’s great about sherry is that once open, it can last in the fridge longer than your average table wine. Depending on the style of sherry (sweet sherries last longer) you can usually keep a bottle open for between a week and a couple of months. For the second year in a row, I was sent a bottle of manzanilla. The driest of all sherry wines, manzanilla is produced exclusively in the small town of Sanlúcar de Barrameda. 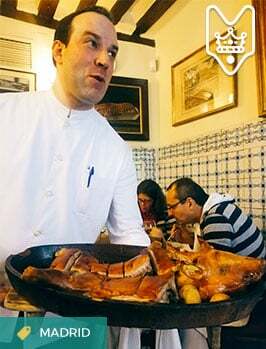 The wine ages under flor (a layer of yeast that protects the wine from oxidation) and often has a saline quality, possibly from the salty sea air that permeates the town’s sherry bodegas. Hanging out at an old man sherry cave in Sanlucar on my last visit. Bodegas Barbadillo is one of Sanlucar’s oldest and most famous bodegas. 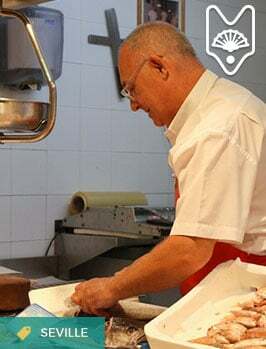 Founded in 1821, it is one of the ten oldest family-run businesses in all of Spain! Their excellent manzanilla is their pride and joy, and Bodegas Barbadillo Manzanilla Solear won Wine Spectator’s award for the world’s best manzanilla in 2015, as well as the Guía Peñin’s award for best winery in the world! Tasting notes: This wine is bone dry, with aromas of yeast, almonds, and citrus. On the palate, it’s saline and slightly nutty, with citrus zest and green apple. At first, I was nervous when I received this manzanilla — because it’s so versatile, I find it a challenging wine to develop a pairing for! 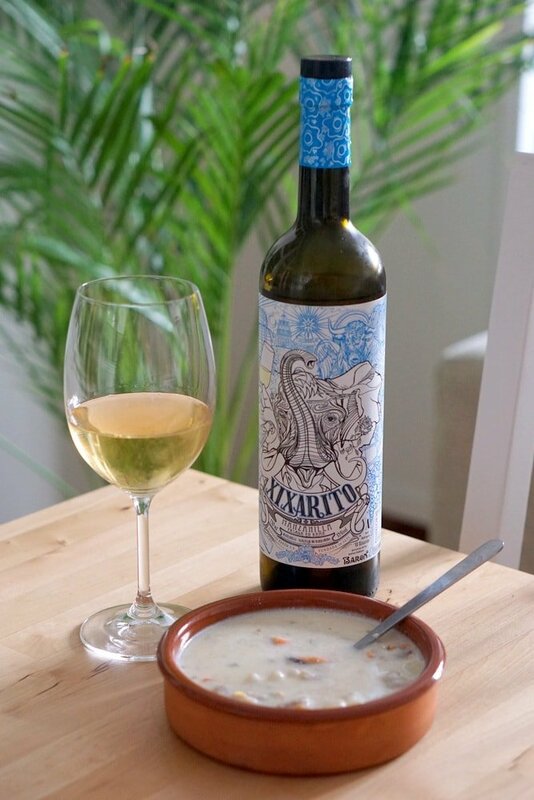 In a perfect meal, I’d simply pair this manzanilla with the delicious tapas from Sanlucar — crispy tortillitas de camarones, boiled prawns served cold with sea salt, briny olives marinated with garlic, and perhaps a couple of local oysters. How could I develop a recipe that would do justice to such a perfect pairing wine, without overpowering the wine itself? My first decision was seafood. Manzanilla screams of the sea, and I wanted this to be front and center in the pairing. I decided on local prawns and cigalas (langoustines). Next — how to cook them? 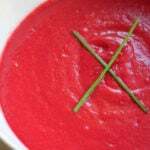 As I said earlier, if it weren’t for the contest I’d probably have simply blanched them– similar to this recipe. I decided to make a bold move, I’d richen the seafood with butter and a touch of cream. I figured that the fresh and dry manzanilla could stand up to the richness. And to balance this, the recipe would incorporate the citrus notes found in the wine with lemon juice and zest, as well as the salty brine with the capers. My pairing – all about balance. 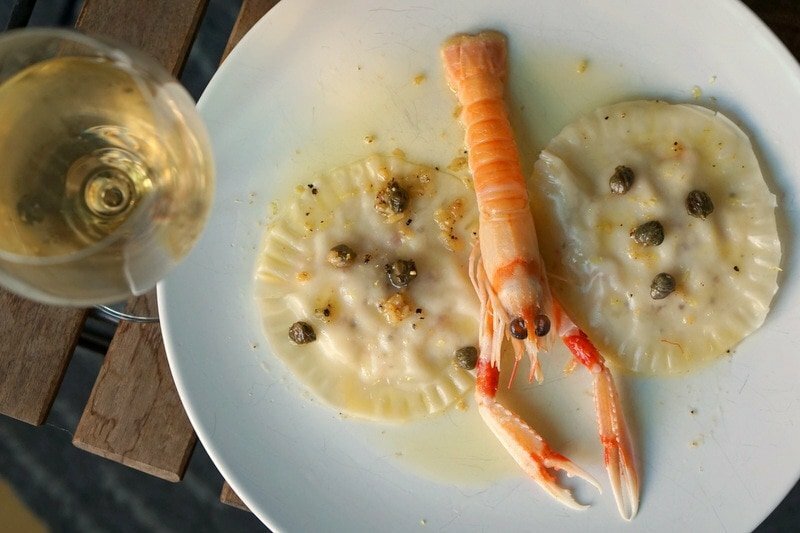 My final result was a butter poached langoustine served alongside a prawn ravioli (stuffed with local prawns, lemon zest, and just a touch of cream), in a manzanilla, lemon, and caper infused beurre blanc. After a few photos, it was time to taste — had I nailed it?! Phew! Honestly, for me, this was the perfect pairing. The dish is delicately bursting with fresh seafood flavor, balanced with salt and citrus. The wine cuts through the richness and harmonizes with the dish. I didn’t want this meal to end! The ravioli were bursting with fresh prawn flavor! In case you want to try this pairing at home, here you go! 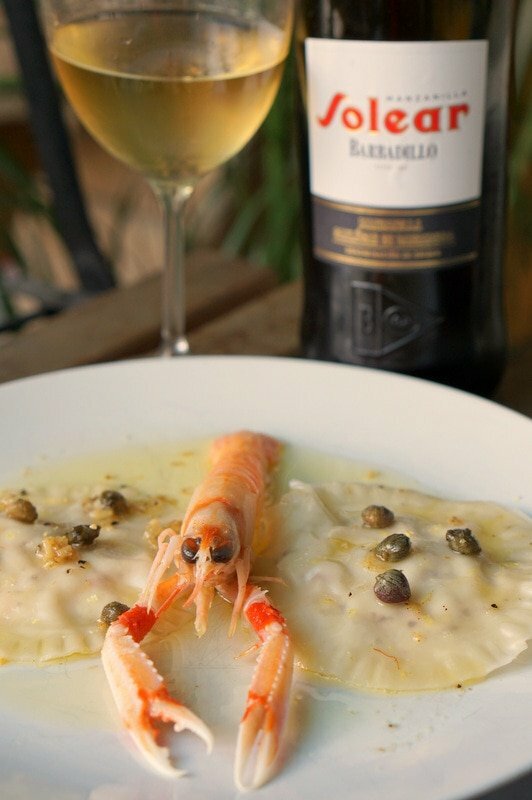 This delicious prawn ravioli is served with a poached langoustine and a lemon, caper and manzanilla sauce. Peel and devein the prawns. Roughly chop. Place half of the chopped raw prawns into a mortar and pestle (or a food processor). Add the heavy cream, egg white, and lemon zest. 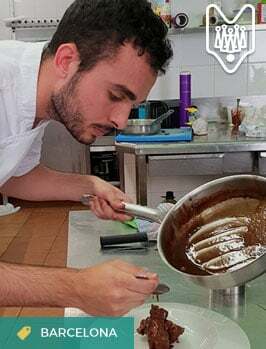 Lightly pound (or pulse) the mixture into a thick paste. Season with salt and pepper. Mix the paste with the remaining chopped prawns. This is your filling. Fill each ravioli with about a tablespoon of filling. Be sure not to over or under fill. Close the ravioli with a fork and some water or egg to bind. Make sure they're tightly closed so that they don't open when cooking. Leave on a lightly floured plate while boiling a large pot of water to cook them in. To prepare the sauce, slowly melt the butter in a heavy pan, and add the cigalas. Poach them in the butter by spooning the hot butter over them constantly. It should take about two minutes to cook them enough. 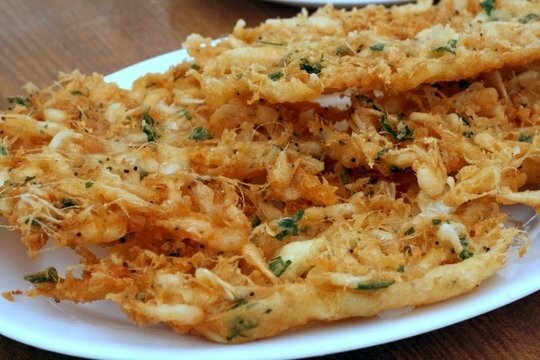 Remove immediately and let them rest on a plate. Add the garlic to the butter and slowly simmer for about one minute. Make sure the heat is low so that the garlic doesn't color. Add the juice from half of a small lemon and about ⅛ cup of manzanilla wine. Turn up the heat and let reduce for about 30 seconds. Add the capers (make sure to drain any juices or if they are preserved in salt make sure to have pre-soaked them to desalt them). Take the pan off the heat as you cook the ravioli. Put them into a large pot of boiling salted water. Allow them to boil for 1-2 minutes (this will depend on their wrappers). Remove with a slotted spoon to the serving dish. I've portioned 3 per person in this recipe. Reheat the sauce and add in the langoustines once warm. 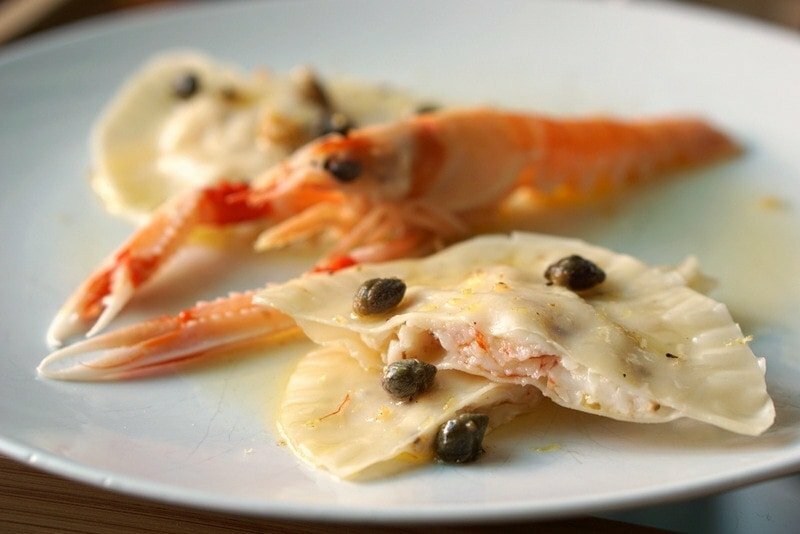 Pour the sauce on top of the ravioli and top with a poached langoustine. Serve immediately and pair with a cold glass of manzanilla! What do you think? Does it sound like a good pour and pair combination? Have you tried all of the styles of sherry? Which is your favorite? Your ravioli recipe might be a little too delicate. The only counterpoint you have is the capers. I would add goat cheese and chives to the filling to give it some bite. Finish the sauce with a little butter swirled in and sp;rinkle with either minced fennel fronds or dill.